The first of five days of the 2018 Cash Game Festival Bulgaria was a huge success at Platinum Casino, located steps away from the sand and waves in Sunny Beach, Bulgaria. There were a dozen tables running in a variety of games including no-limit hold'em, pot-limit Omaha, and Sviten Special. The festival began with welcome drinks at 6 p.m. EEST. Some players couldn't wait and were in action at the table before the day and night heated up. As will be the case throughout the festival, two televised tables were featured on the Cash Game Festival Twitch channel and embedded in the PokerNews coverage. 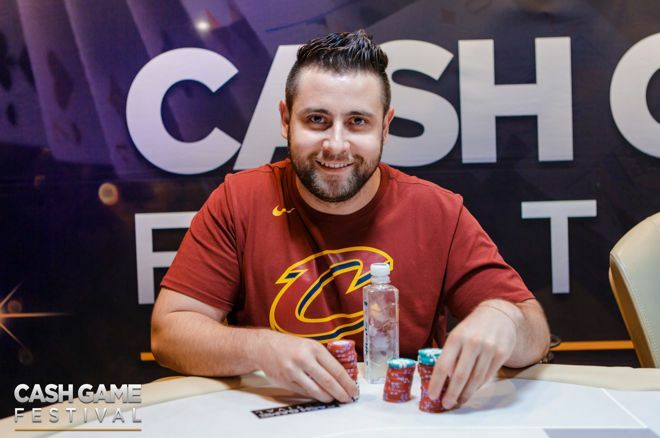 PokerNews Editor Jason Glatzer and Cash Game Festival Head of Media Henry Kilbane commentated on all the action with two-time Cash Game Festival trophy winner and 32Red qualifier Jon Kyte bringing in his expert analysis for the late pot-limit Omaha action. Youness Barakat was the biggest winner at the first table of the night after booking a profit of €996 or 332 big blinds at a €1/€3 no-limit hold'em table. This was also good enough for the most overall profit moneywise out of any player at either feature table. 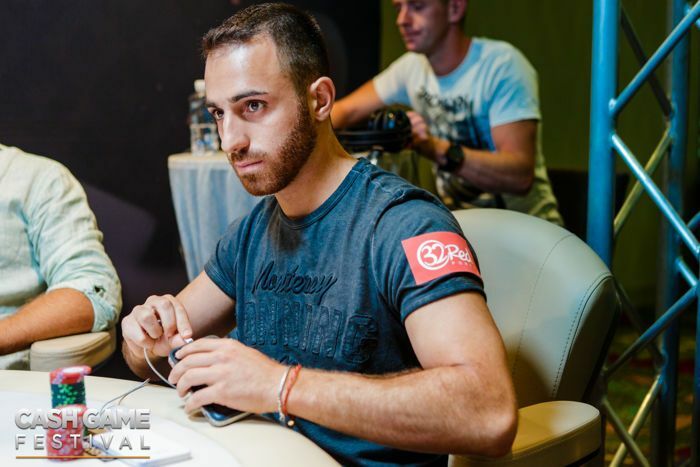 While Barakat booked the most profit money-wise at both of the feature tables, Nikolay Bibov (lead image) won more big blinds at the later €2/€2 pot-limit Omaha feature table after winning €865 or 432.5 big blinds. Today also featured several online freerolls hosted by Cash Game Festival partner 32Red Poker. They will continue to run freerolls throughout the festival with the password released on the streams as will the Cash Game Festival's other partner Unibet Poker. Tomorrow the action is expected to be even bigger both on an away from the tables. There are two activities planned for those that won packages either online or at previous festivals including a sporting activity at 2 p.m. EEST and the first of two parties at 9 p.m. EEST. Stay tuned at PokerNews as we reported the action with four more exciting days still yet to come.